Thursday, March 7, 2019 • 6:00–10:00 p.m. Note: The Tactile Dome and some programs have limited capacity and are available to visitors on a first-come, first-served basis. Lose yourself in over 650 interactive exhibits exploring perception, art, and science at our adults-only After Dark. Grab your friends and a drink and get immersed in mind-bending experiences and unique, thought-provoking programs. Expand your perspective with an evening of innovative storytelling that illuminates the fluid relationship between art and science. Hear from scientists working directly with artists to share their research in new ways and artists using science as inspiration—then immerse yourself in a spectacular multimedia artwork highlighting ice studies. Can Art Make Science Communication Accurate and Compelling? How can representations of science be both factual and meaningful? Global change biologist and science story consultant Sara ElShafie has embedded herself in creative communities to uncover the potential of storytelling and entertainment to engage broad audiences with complex research. ElShafie will share what she’s learned from working in both academia and Hollywood, and highlight why projects translating research into artworks are critical for improving public understanding of science. 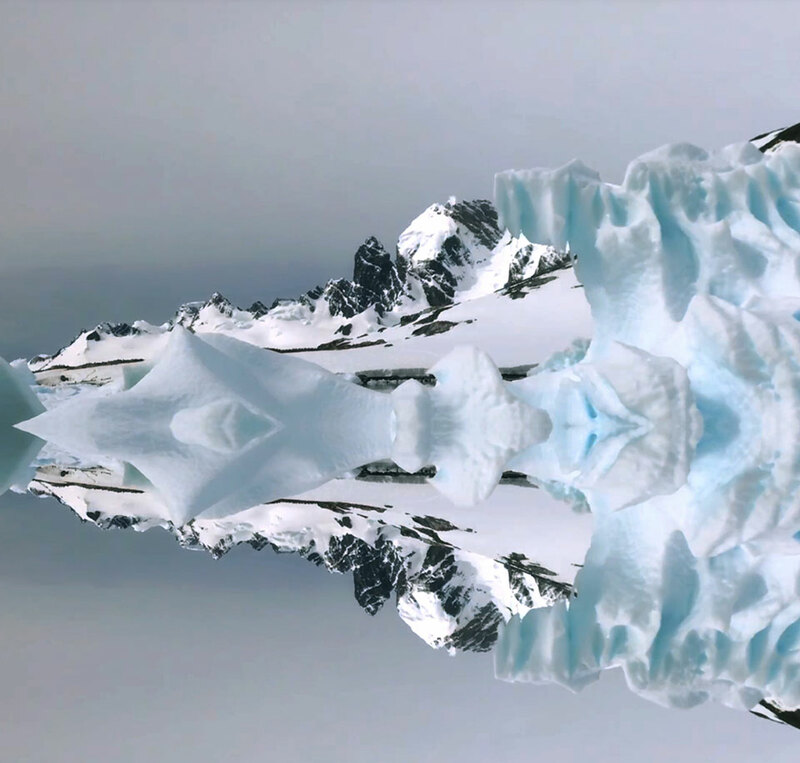 Crafted from over a decade of video footage, Ice Hours is a multimedia performance anchored by stunning views of Antarctic landscapes and the surrounding ocean. Coupling live music performance with dynamic imagery, the work is a collaboration between photographer Camille Seaman, film artist Kim Miskowicz, and composer/musicians Kristina Dutton and Nathan Clevenger. Illustrating the inextricable connection and interdependence of humans and the natural environment, Ice Hours documents inspiring and endangered features of our changing planet. After the performance, join us for Q&A between Global Change Scientist and Science Story Consultant Sara ElShafie and the Ice Hours team. Your life story: How would you tell it? Every second of every day, our brains are putting together information from the moments of our lives to form a coherent narrative. But what happens when your brain needs to fill in the gaps? Join neuroscientist Sarah Hillenbrand as she looks at how the brain creates meaning from raw data, and how stories help. Indulge in the unique ways filmmakers approach scientific stories. Highlighting the power of an interdisciplinary approach, each of these short works conveys complex science stories and systems through unique and innovative artistic approaches. The Bureau of Suspended Objects is a one-person organization and archive that originally operated during Jenny Odell's artist residency at the Recology dump in San Francisco. From June to September 2015, Odell researched the manufacturing, corporate, and material histories of 200 objects. The B.S.O. works from the assumption that we are estranged even from those objects closest to us, whose inner workings and past lives feel opaque or inaccessible. As such, research at the B.S.O. involves learning to "read" and understand an object—to understand why and how it came into being. Immerse yourself in the research environment of three of history's most influential women scientists. Breaking Boundaries is an interactive virtual reality experience that shares the legacies, passions, and groundbreaking discoveries of trailblazers Jane Goodall, Marie Curie, and Grace Hopper. Explore recreations of each scientist’s work environment, which are rife with detail and in-depth narrative vignettes offering insights into each woman’s research and influence. Create your own tiny story in this hands-on activity. An art form developed in the 19th century, crankies employ simple mechanisms to hand-crank paper scrolls that result in moving images. 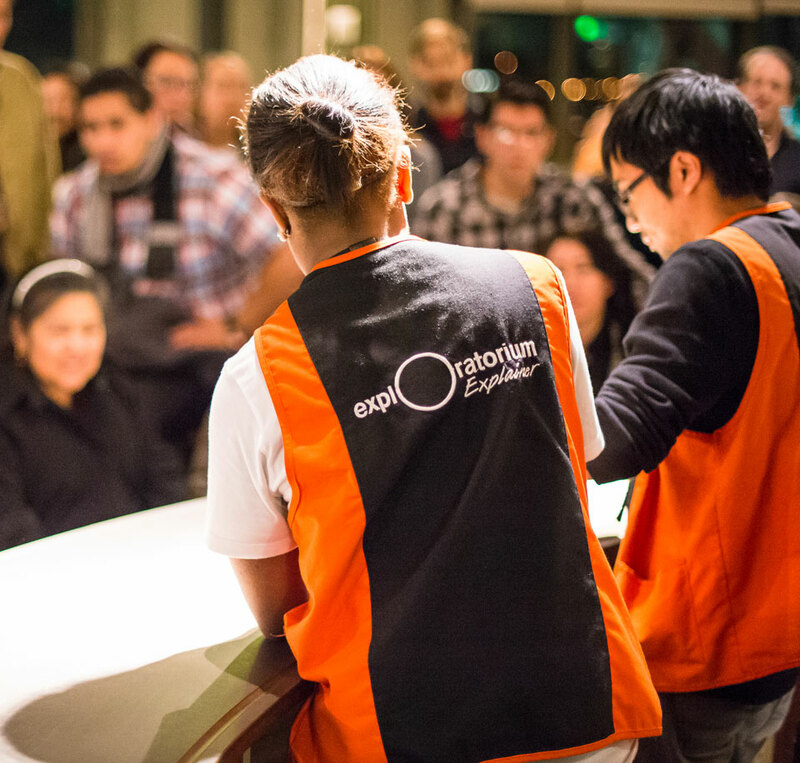 Grab a milk carton and a scroll and join our expert Explorables volunteers to craft your own moving panorama. Journey through total darkness in this twisting, turning, tactile sculpture. Walk, crawl, climb, and slide your way through a wonderland of textures using only your sense of touch as a guide. Please Note: Due to the nature of this experience, certain restrictions apply. Guests who are afraid of the dark; claustrophobic; have back, neck, or knee injuries; or are in their third trimester of pregnancy should not participate. Guests wearing casts are prohibited. Also, please wear comfortable clothes. You can reserve tickets for our 6:15 and 7:00 p.m. sessions. We also operate drop-in, first-come, first-served sessions at 7:45, 8:30, and 9:15 p.m.; tickets can be purchased at the Information Desk. 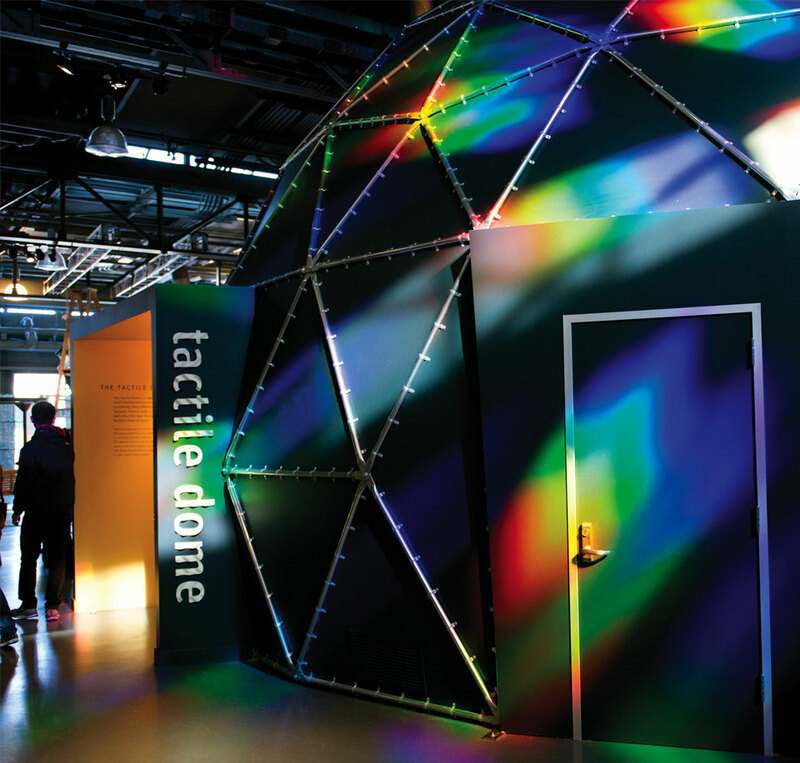 Learn more about the Tactile Dome. Draw hypnotically flowing patterns with a swinging table, and watch friction cause the patterns to slowly shrink along a spiral path. Pick up a ticket to reserve your spot in line for this popular activity. Tune in to surrounding sounds by experimenting with strings and vibrations, and use electromagnets to build a basic speaker. Learn how to listen with your bones, and explore the workings of the inner ear. Do cows see color? How does a lens work? Examine the intricate structure of a cow eye to learn about similar structures in our own eyes, as well as some key differences. Stigma, stamen, pistil, anther, style: Uncover the beautiful architecture of flower anatomy, and gather some surprising strategies that plants use to reproduce. Everything is not as it seems—at first. Pick a card, any card, and watch the Explainers reveal some surprising aspects of human perception.